The game which saw Liverpool take a two goal lead, ended with fans at the edge of their seats as Tottenham tried to get an equalizer. The Dutch midfielder arrived in English football back in 2015.Newcastle acquired his services from PSV and saw him record 11 top-flight efforts during a one-season stay at St James’ Park. That duck has now been broken with a looping header against Tottenham at Wembley. 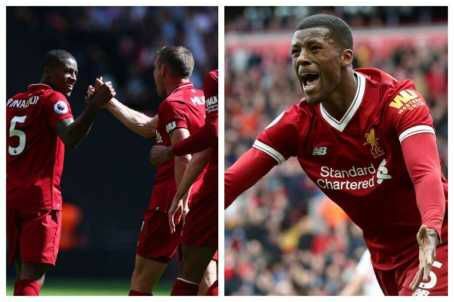 Wijnaldum opened the scoring against Spurs after seeing Michel Vorm fail to deal with a James Milner corner. His fellow countryman recovered enough to dive across the face of his goal and claw at a header which drifted over Kieran Trippier, but the ball crossed the line before he could clear.